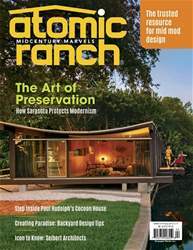 Designers honor Sarasota’s modernist movement with carefully crafted updates to the Armstrong House. 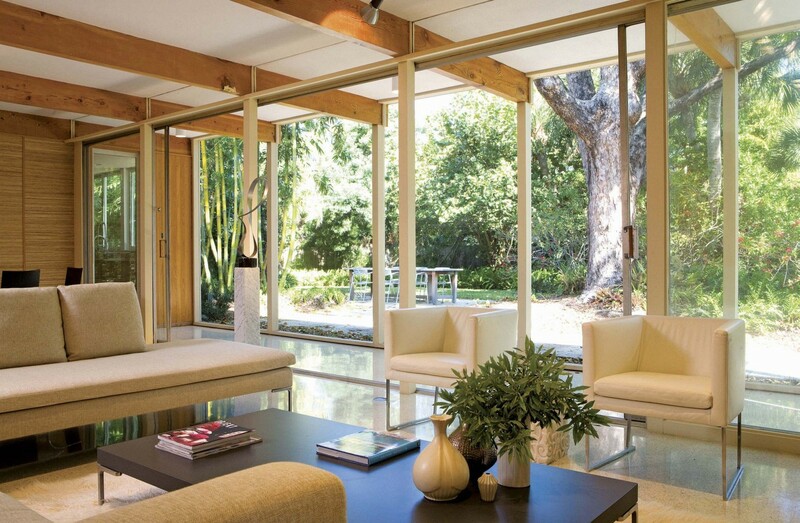 THE FLOOR-TO-CEILING SLIDING GLASS DOORS ARE ORIGINAL TO THE HOUSE AND CREATE A SEAMLESS TRANSITION FOR INDOOR/OUTDOOR LIVING. 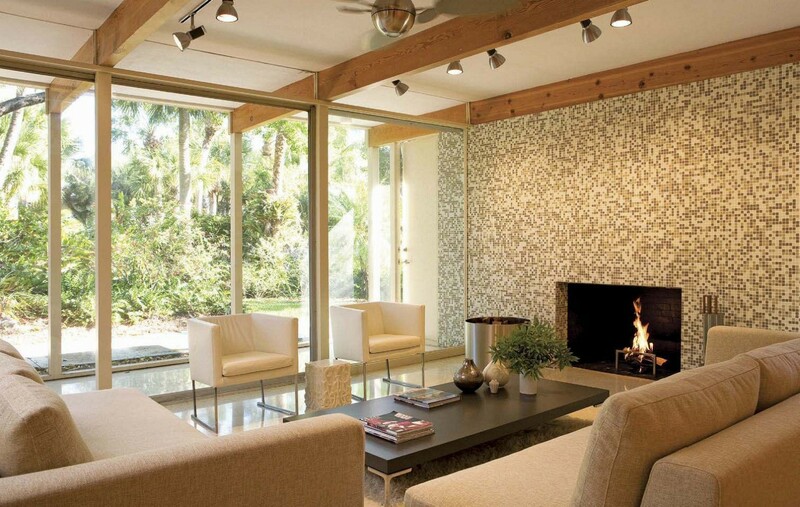 THE GLASS MOSAIC FIREPLACE WALL IS THE FOCAL POINT OF THE LIVING ROOM RENOVATION. In the early 1950s, the barrier islands off Sarasota, Florida, offered an ideal setting for seasonal residents to build an affordable second home suitable for holiday weekends and winter retreats. To meet the growing demand, devotees of the Sarasota School of Architecture, the bastion of Sarasota’s modernist movement, crafted simple, horizontal houses that channeled ocean breezes through courtyards and sliding glass doors, and blended with the level seaside landscape.